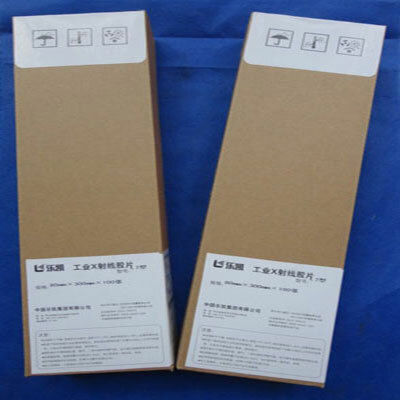 Lucky industrial x-ray film L7 is designed in accordance with advanced standard. A series of new materials and technology are used from emulsion-making to coating. It is an ideal film for industrial non-destructive test (NDT) photographing. Lucky industrial x-ray film L7 is double-side-coated on blue polyester base sheet. It is high speed with small grain and high contrast. It demonstrates defects exactly because of its excellent structure of emulsion-grain and coating-layer. It’s widely used in non-destructive x-ray inspection for parts, components, shaped materials and welding seams that made of ferrous, non-ferrous metals and their alloys or other materials with low attenuation coefficient.